Thankfully, a break in classes at the Fashion Institute of Technology, 27th Street, NY, NY, frees Forbes stylist Joseph DeAcetis @JosephDeAcetis, who serves as a professor and instructor at the school, for two days devoted to dentistry, or rather, to dentists. 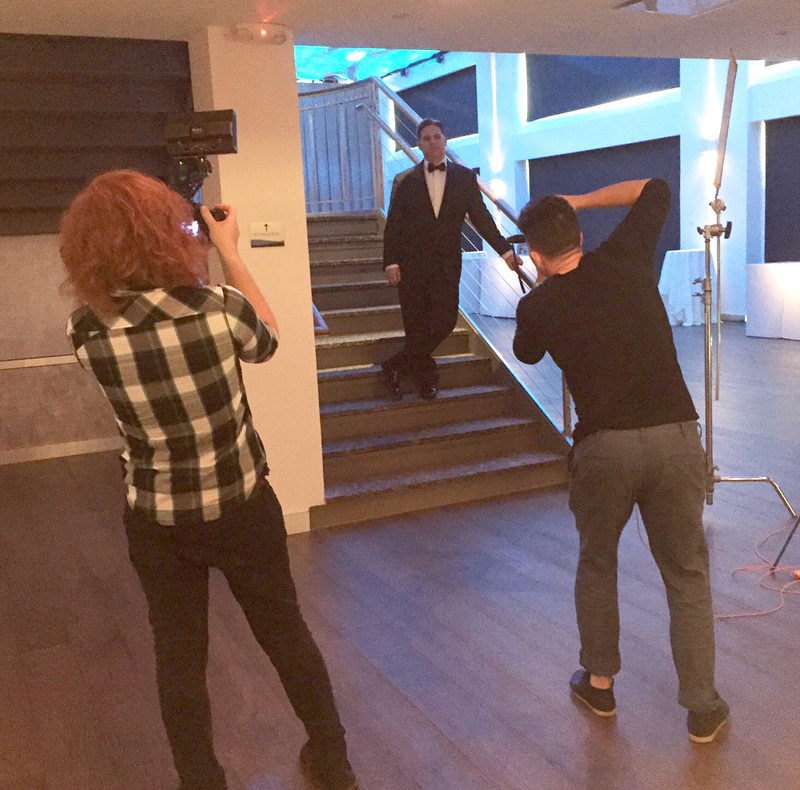 Between wrapping a spring semester course, Menswear Image Consulting – Fit, Balance, Proportion, and jetting off to Fashion Week in London, Milan and Paris, DeAcetis scheduled time for a fashion photo shoot for @IncisalEdge dental lifestyle magazine May 28 and 29 in New York City. His models: the 2015 Incisal Edge 40 Under 40, a k a the finest young dentists in America. The hectic schedules of these young professionals might compete with that of their international stylist, with some dentists in the city just long enough for some on location prestige at Current at Chelsea Pier. 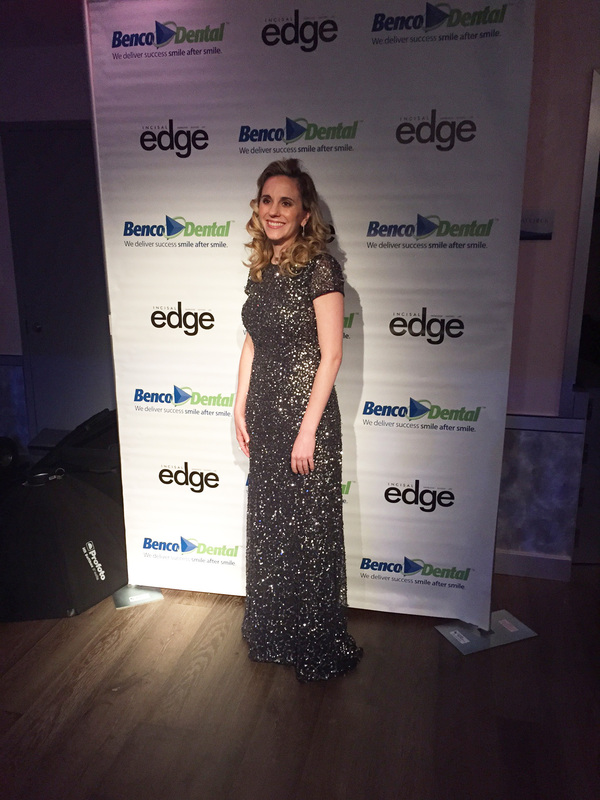 Incisal Edge 40 Under 40 honoree Dr. Stephanie Swords in NYC from Texas just long enough for her moment in the spotlight. Dr. Stephanie B. Swords, left Texas Wednesday afternoon for NYC with the goal of catching a departure flight 24 hours later to make it back in time for her brother Sean’s wedding in Texas. “This is the lightest I’ver ever packed for any trip in my life,” joked Dr. Swords, who has owned her McKinney dental practice for six months. Speaking of a departure from routine … in from Rhode Island, Dr. Joseph Matrullo said the special treatment he received at Current from Lead Hair and Makeup Artist Cynthia Salgado was the exact opposite of his morning grooming. “Are you kidding? I’m at work at 6:30 a.m., I get up at 6 a.m.,” said Dr. Matrullo. But after just two hours in a tuxedo designed by Joseph Abboud, this dentist might be shifting his mindset. Though he hasn’t worn a tux since his wedding, Dr. Matrullo wanted to take this particular model home. Dr. Joseph Matrullo of Rhode Island gets the high fashion off to a great start in his Joseph Abboud tuxedo.